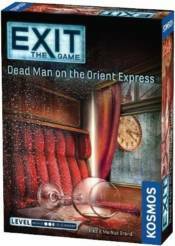 A classic tale of murder on the Orient Express, reimagined. The culprit of a grisly crime is still on board your train. It's a race against time to piece the clues together before the train reaches its destination. The case is perplexing, and you must solve it quickly so the assailant does not escape. Difficulty Level: 4 of 5.